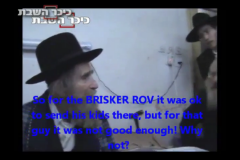 A Rosh Yeshiva in Bnei Brak sought council by Rabbi Aharon Leib Shteinman regarding a parent who wanted to enroll two children from a second marriage into his school. 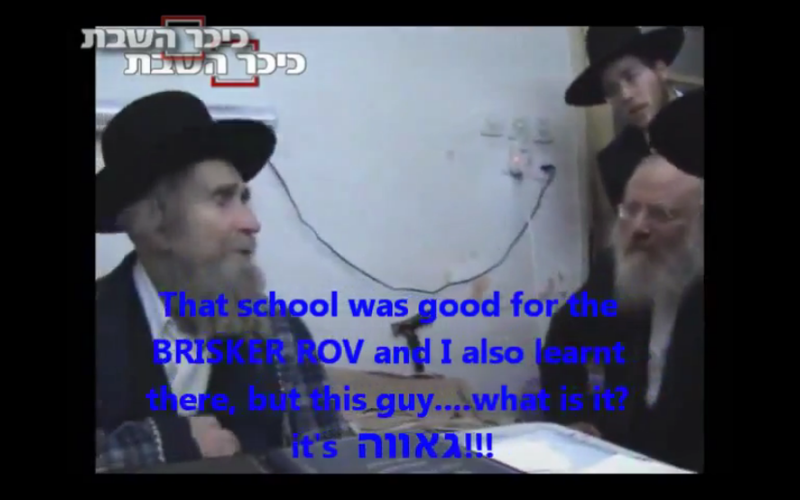 The Rosh Yeshiva did not want to accept them since they weren’t the model student the school seeks to accept. 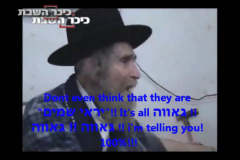 Rabbi Shteinman sharply criticized the school – calling it Gaavah not to accept every student. 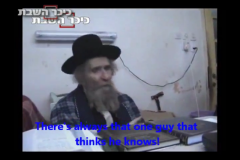 Rav Aharon Yehuda Leib Shteinman was recently asked about a case where someone with 2 children enrolled in a Yeshiva remarried to someone with 2 children of her own, and that the husband insisted that those children as well go to the same Yeshiva. The concern there was that the wife was more “open minded” and didn’t “fit in” to the Yeshiva’s standards. “This is Gaavah! 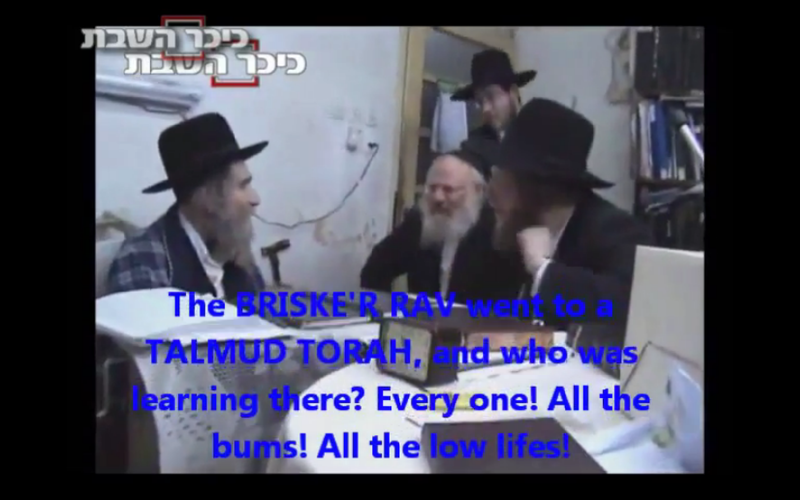 Gaavah Gaavah!” He then mentions a Yeshiva where both he and the Brisker Rav both attended, and this was a Yeshiva that had everyone, including bums and low-lives. Two bad kids influencing the Yeshiva? 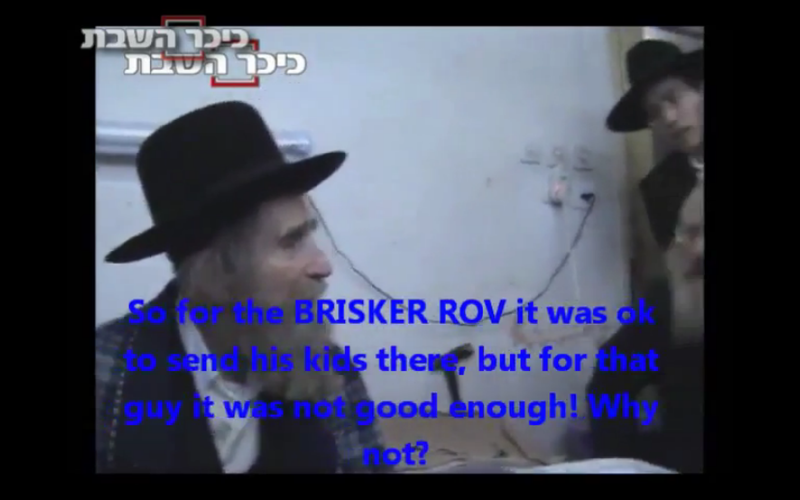 Well, it was good enough for Rav Shteinman and the Brisker Rav. People who say that their school is too elitist are Baalei Gaavah. The person is a Choshuvah Gvir? That only makes him a bigger Baal Gaavah! This video IMHO was just what the doctor ordered. We can all take a page from here into Chinuch and into our lives. “He’ll be a bad influence,” “He’ll be too slow,” “His parents don’t fit in” are all excuses at the end of the day. Suddenly, I love and respect Rav Aharon Leib Shteinman that much more. I have been watching this video and replaying it a few times. 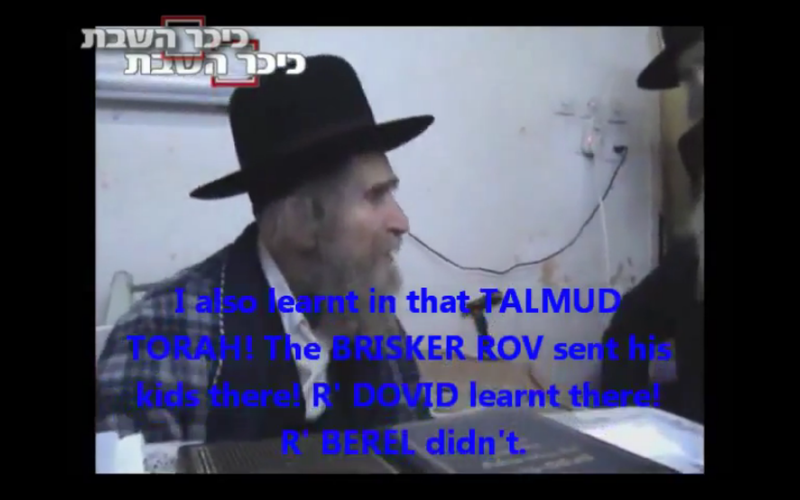 It’s a real shame that people of Rav Shteinman’s caliber are slowly fading away and childish Baalei Gaavah like the two other Rabbanim in the video are taking his place. 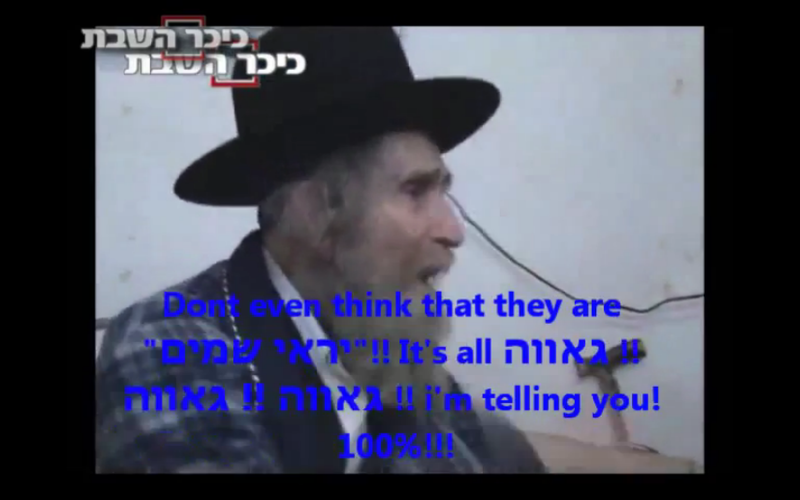 May Rav Shteinman live to 120 years and beyond. We sorely need him.